I’ve dragged this piece from Libertarian Reason archives, cleaned it up a bit, added some pictures and opened up comments on it for the first time. This was originally written as part of a response to a BBC broadcast back in September 2005. Now, I’ve noticed even some libertarians tending to prejudge and misconstrue the reasons that someone would want to drive an SUV, so I think it warrants a re-run. At the time I wrote this piece, I owned one SUV. I liked it so much that I bought another for my wife, and we drive both of them extensively now on a daily basis, clocking up well over 25,000 miles per year. SUV stands for Sports Utility Vehicle, also frequently referred to as a four-by-four, a four-wheel drive, a Jeep (though this is usually a misnomer) or in England, somewhat tongue-in-cheek, a “Chelsea tractor”. SUVs are vilified for one reason, primarily: they consume more fuel per mile than smaller cars – they therefore emit more carbon dioxide per mile than those smaller cars – and are therefore regarded as environmentally irresponsible vehicles. Into the mix, grim-faced proponents of SUV-vilification throw other negativities to give the impression that there are other (better?) reasons to hate SUVs, such as describing them as “behemoths”, or “road-hoggers”. Don’t be confused by these; they are bad excuses, made by some truly joyless people. The real reason for SUV-vilification is their lower rate of MPG (miles per gallon). Since I don’t have any problem emitting carbon dioxide into the atmosphere and don’t believe its doing an iota of significant damage, I thought I’d give you some positives in an attempt to counteract all the negativity unfurled by these depressing people: real reasons that I (and others) own SUVs and love them so much. Ample legroom, enough even to stretch your legs out in front of you while driving the freeway on cruise control. Spacing between passengers is greater, the centre console can hold a lot more and serve a greater range of purposes, each passenger can have two cup holders for longer trips, the bigger battery can serve more than one power point for various in-car appliances at one time and the oversized radiator supports a better air conditioning system (important here in the desert climate), enough even for separate rear air control and vents. Also count here the ease with which one can get a small child, perhaps in a car seat, in and out of the vehicle compared to a smaller car. The higher position of the vehicle allow drivers to see the road much more clearly. Oversized mirrors give a better rear-view, and bigger windows provide an excellent sense of everything going on around the vehicle, making a difference in road safety that only a convert to SUV ownership will be able to attest to. The vehicle is heavier, built sturdier and created with a stronger, more durable body. Combined with its size, in a head-on collision I’d much rather be me in my SUV than you in your hybrid. Add the best safety features in the industry; rollover protection, side-curtain airbags, computerised stability control, tire pressure monitor, etc. ; modern SUVs are among the safest vehicles on the road. I like to tow our gas-guzzling jetskis and boat trailer to the launch ramp at the lake, and our ATV trailer out to the sand. In doing this I join with thousands of Americans around me who spend many weekends enjoying precisely the same activities (watertoys in the summer, desert toys in the winter). With a towing capacity of 5300 pounds, I’ll have no problems in that regard. It should be noted that only a pickup truck or SUV has the ability to tow trailers of this weight. With the necessary ground clearance, four-wheel drive capability, super-low gearing and stability control, an SUV so equipped can handle the kinds of terrain that smaller cars get easily stuck in. Be it a soft-sand beach, a rocky desert landscape like the American Southwest, a muddy forest trail or a snow-capped mountainous region, only an SUV or pickup truck can manipulate such ground with ease; for a camping trip, recreational drive, slippy launch ramp or off-road excursion. Try fitting seven people in a Prius. For several trips this summer alone, I have used my SUV to carry, in comfort, more than the five people that a standard sedan would allow. In each of these cases, we would have used two smaller cars in the place of my single SUV. For these kind of trips, therefore, my SUV achieves a greater number of miles per gallon per seat than even a hybrid, and becomes the vehicle emitting the least amount of carbon dioxide for the purpose. Not unusual. And even for a young family with the standard 2.4 children, a family outing would be very uncomfortable if not unworkable were the state’s car seat requirements for under fives adhered to in a regular sedan. 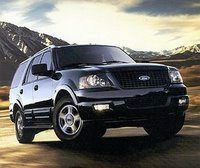 That SUVs accomplish all of the above while still harnessing the horsepower to reach almost 120 miles per hour – all the time ultra-smooth, whisper-quiet and with such a sense of style – truly constitutes a feat of engineering, making the Sports Utility Vehicle the supreme means of transport. Now perhaps instead of disparaging them and their owners, you SUV-vilifiers may cheer up and consider buying one yourselves? Bryan Appleyard’s great article on this subject (for a UK audience) can be found here. S.U.V. drivers are the most inconsiderate egotistical drivers on the road. You can’t see that because you’re one of them. I think it is very narrow-minded to think that the “only reason” to dislike SUVs is mpg. It is a cop-out, actually. An attempt to ride the coat-tails of the green backlash. I dislike them in the same way I dislike BMWs and vans, in fact the drivers of SUVs tend to combine the worst of the two. and, in general, they tend to be incredibly UGLY. The SUVs, not the drivers. Sweaty Duck says “S.U.V. drivers are the most inconsiderate egotistical drivers on the road…” – compared with all other types of egotistical driver, I’m sure? I’m absolutely considerate, demonstrated by this post in which I’ve been considerate enough to tell you the benefits of the SUV. Learn, Mr. Duck, learn. TimC- What you fail to acknowledge in your analysis of your dislike of SUVs is that your criticism implies an ability to judge the personal choices of others in the first place. All that matters when I want to drive an SUV is that I want to drive it. I sit in it, I feel good in it. Period. That’s the *ONLY* valid concern. And there are much uglier things than SUVs, as the pictures above demonstrate abundantly. The grown-up version of laughing at each others’ preferences in the playground is to simply acknowledge that people are different and enjoy different things. Libertarianism springs from this worldview; the most adult of all the political philosophies. I think you’ve nailed some pretty solid advantages to owning an SUV and like you say it’s nobody else’s business.. if they don’t like it they don’t need to buy one. Personally I love my Chevy Tahoe and would never go back to a smaller car again., they don’t call it a ‘utility’ vehicle for nothing. It’s purposes far outweigh what normal cars can be used for. Even if it’s true that people who own SUV’s tend not to use them offroad a lot, they have the option and most people will use that facility at least a few times during the course that they own it. That’s enough… unless you’re a greenie who believes they’re destroying the earth. Greens would freak if they saw the sheer volume of gas guzzlers in my garage. I agree with John on previous occasions that none of this is a big challenge environmentally, because they won’t last long enough, technology moves too fast. In 30 years we’ll all be driving clean-fuel motors anyway. If you can drive a smaller vehicle, you should, for the sake of the environment. If you can’t, then you can’t, but most of these people could easily drive smaller vehicles and choose these monstrosities instead. All your points on safety related to the driver of the vehicle, what about other drivers, cyclists and pedestrians? If your only valid concern is that you want to drive it then there isn’t much I could say to convince you otherwise. But in light of the recent report by the IPCC would you not acknowledge that the personal decisions we make can be at the expense of other people. Regardless of the climate change debate, we are living in a world of finite resources and decisions we make in our own lifetime will have an impact somewhere along the line. So your liberty to drive a 4×4 is at the expense of my liberty to cycle on an uncongested road and bring up my kids with the knowledge that we havent completely squandered their inheritance. So whose liberty takes priority? Dave- My apologies for not getting back to you; I see your comment has been here for a few days. As I see it, it is an unrealistic answer to human problems to presume that curtailing people from doing what they would like to do, micromanaging their daily lives or relying on their voluntary agreement with the larger principles at stake. You’re right to say that the earth has finite resources. But consider this sequence of events: (1) Human beings live for thousands of years without needing to burn fossil fuels. (2) Human beings develop technology which makes their lives better and relies on the burning of fossil fuels. (3) Human beings continue to develop technology which allows them to continue making their lives better without the need to burn fossil fuels. All three of these things are evident (ie. either past-tense or in the process of happening). In the meantime, we may burn more fossil fuels as more nations become developed and as more people become wealthy enough to do so. (By all other measures, that’s to be welcomed, by the way.) But by 2100 that curve will be well on its way back to whence it came, since technology does not remain static or stagnant – unless government screws it up. My contention is that, in the meantime: (a) we aren’t in danger of running out of fossil fuel to burn, (b) the burning of that fossil fuel will not last long enough to catastrophically damage our environment, (c) the inevitable rising costs of fossil fuel will cause the market to change to the new technology even faster and (d) my driving a vehicle which burns fossil fuel a little quicker than another one is not a significant factor. I’d be interested to hear what you think of my response. Thanks for your comment.